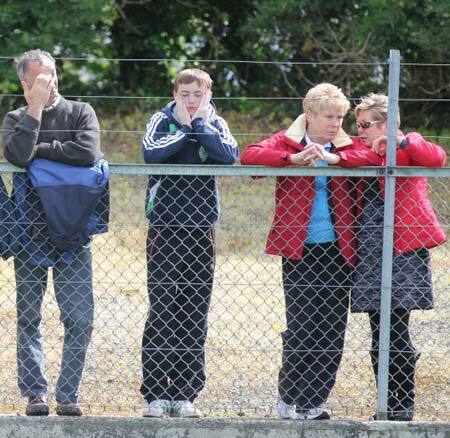 Aodh Ruadh hosted Urris in Father Tierney Park last Sunday in a game which would have considerable bearing on the complexion of the top of the table. 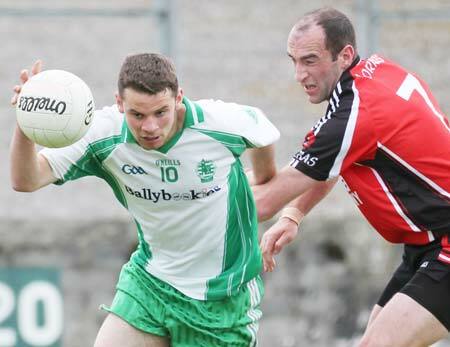 There was a strong wind at the Ballyshannon venue, but neither side proved able to turn it to their advantage and a strong second half performance from the homesters was the difference. David Dolan was first off the mark, stroking over a point with less than two minutes gone. Michael 'Sticky' Ward double the homesters advantage with a free before Edward Kelly got Urris off the mark with a fine free which had to be driven over the bar across the breeze. That proved to be Urris's last score for over quarter of hour. 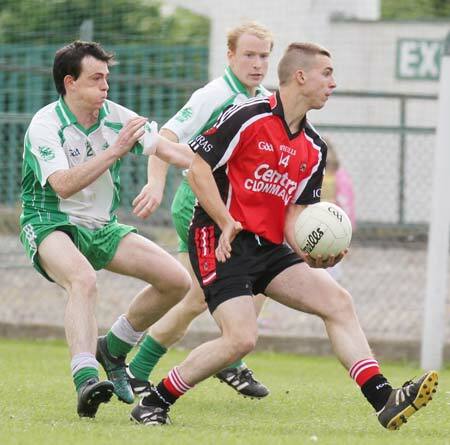 In that period they put up stout defensive resistance, while Aodh Ruadh made heavy weather of putting another four points on the board through two Sticky Ward frees and points from Anthony Boyle and Brian Roper. 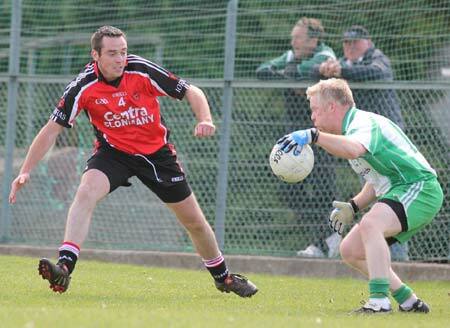 Also in that period Aodh Ruadh missed two glorious goal opportunities. The first came from a great run by Anthony Boyle, which slashed through the Urris defence, but his shot slipped past John Paul Doherty's left post. 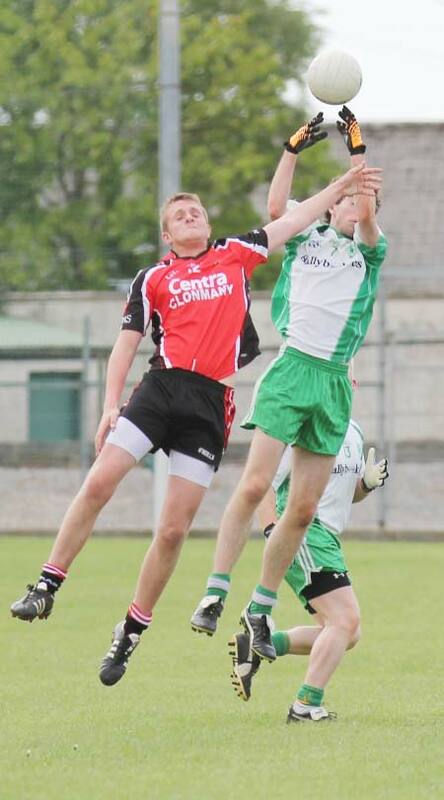 The second chance saw David Dolan one on one with Doherty, but Doherty did brilliantly to block out Dolan's shot. Buoyed by those saves Urris won a turnover and Liam Diver finished a sweeping move with a point. Less than a minute later Alan Friel was through, but he ballooned his shot over the bar when there was a great chance for a goal. 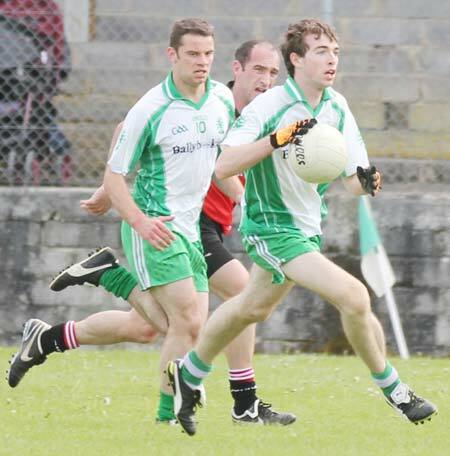 Aodh Ruadh upped it in the last five minutes of the half and two Sticky Ward frees and a David Dolan placed ball special saw Ballyshannon going in leading by 0-9 to 0-3 at the break. 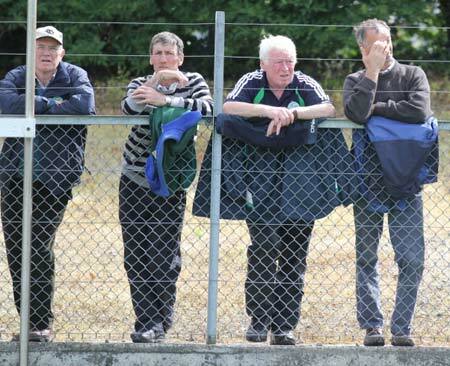 Urris played with the wind in the second half and judging from their opening attacks, it seemed like they had learned from Aodh Ruadh's errors in the first. Darren Grant slotted over a well struck free three minutes into the half. That was followed by an answering Sticky Ward free a couple of minutes later. 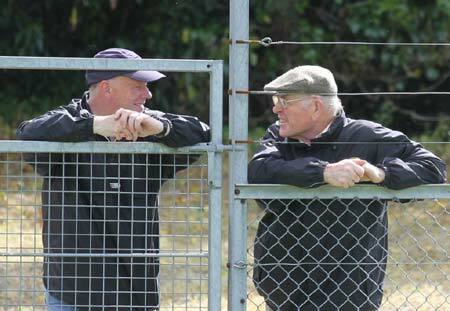 A couple of minutes later again things changed dramatically as a hoisted ball was superbly fielded by Alan Friel and finished to the net with real polish. That looked like the moment that would see the game turn into a serious contest. Indeed Urris followed the goal up with another point from Liam Diver on 42 minute mark. However that proved to be the end of the scoring for the visitors. 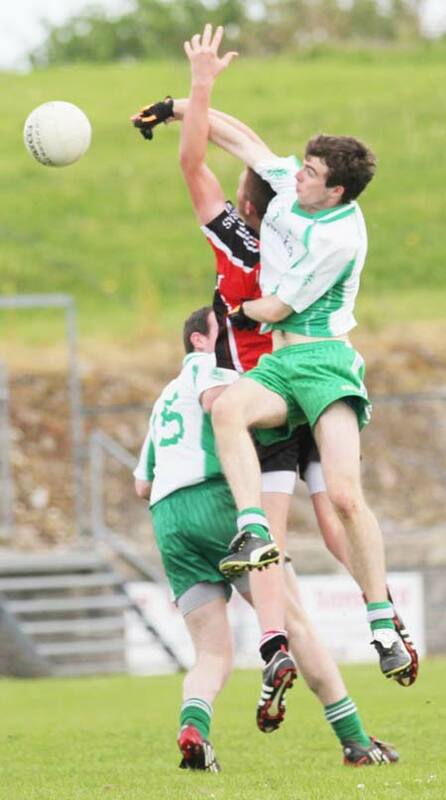 Aodh Ruadh really upped the intensity in the final quarter. 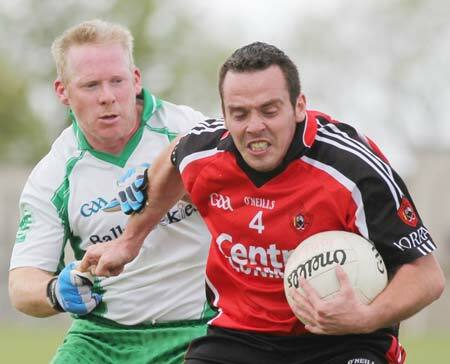 Full back Philip O'Reilly had been loose on Friel for the goal, but he compensated for that slip by winning practically every other ball that came into that sector of the field for the remainder of the game. 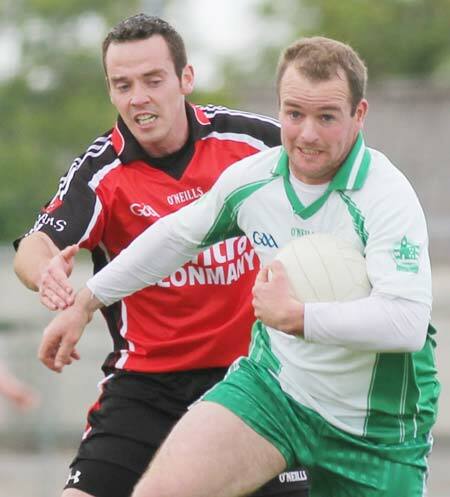 Sticky Ward hit a free on 46 minutes to put the score to 0-12 to 1-5 and ease the Ballyshannon jitters. As the game moved in to the last ten minutes it was clear Urris were tiring, and the Ernesiders began to press home their advantage. David Dolan had another bad miss when the goal was on, but Sticky Ward effaced that lost opportunity with a well taken point after a good move. 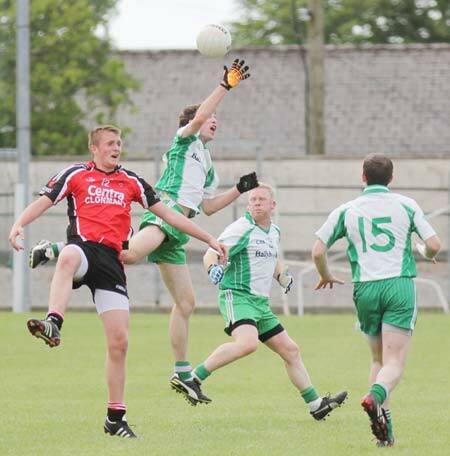 A high lofted point from Donagh McIntyre made the score 0-14 to 1-5. 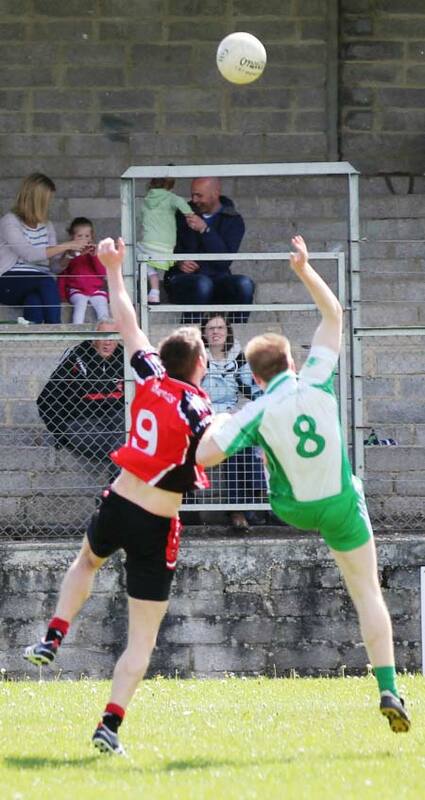 Ronan McGurrin applied the coup de grace with three minutes left on the clock, finishing an Aodh Ruadh sweep forward with a rasping shot to the net. 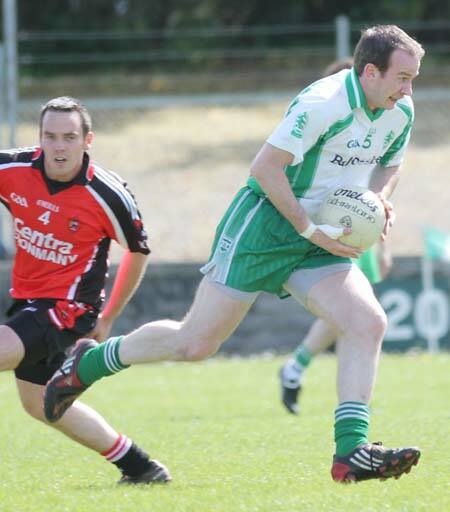 That result sees Aodh Ruadh join Urris at second in the division three table before the break for championship action. 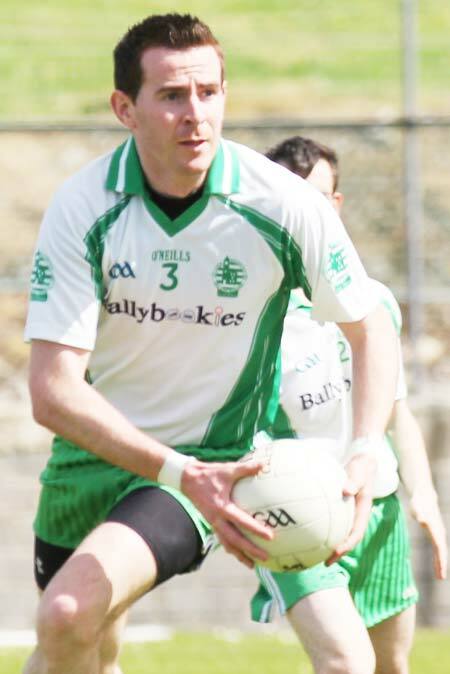 Paul Kane; Michael Dolan, Ciron Whoriskey, Philip O'Reilly; Ronan McGurrin (1-0), Niall McCready, Conor Patton; Michael Gurn, Conor Gurn; David Dolan (0-2, 1f), Michael 'Sticky' Ward (0-9, 6f), Donagh McIntyre (0-1); Brian Roper (0-1), Turlough McIntyre, Anthony Boyle (0-1). Substitutes: Ruair� Drummond for Turlough McIntyre: 41 minutes; Kerry Ryan for Michael Gurn: 41 minutes; Ronan Matthews, Michael Ward. Yellow Cards: Conor Patton: 58 minutes. 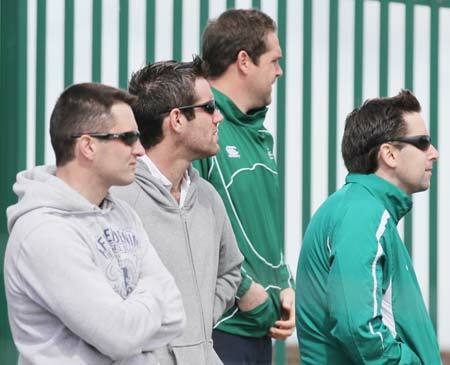 Wides: 3: Ciron Whoriskey: 1; David Dolan: 1; Michael Ward: 1. 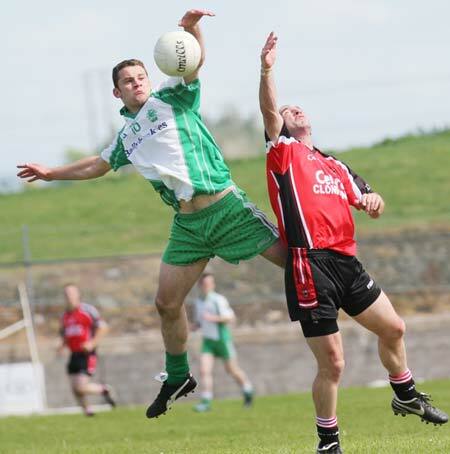 John Paul Doherty; Sean Doherty, Patrick Doherty, Damien Harkin; Joe Grant, James Cook, Sean McDaid; Liam Diver (0-2), Edward Kelly (0-1f); Donal Kelly, Martin Kelly, Darren Grant (0-1f); Phil Pat Doherty, Paddy Doherty, Alan Friel(1-1). Substitutes: Sean Toland, Martin Shields, Jason Doherty, Conor Brennan, Eamon Reidy, Daragh Doherty. Yellow Cards: Alan Friel: 47 minutes. 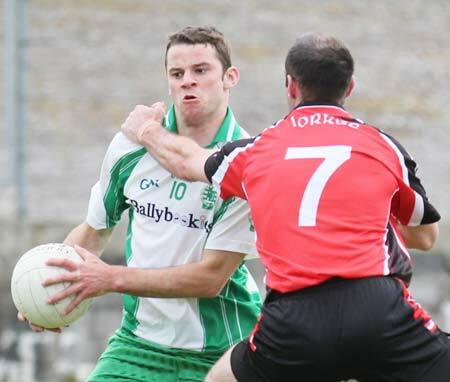 Wides: 4: Edward Kelly: 2; Martin Kelly: 1; Phil Pat Doherty: 1.